SECTORIZATION BASED ON CHENA NDB. 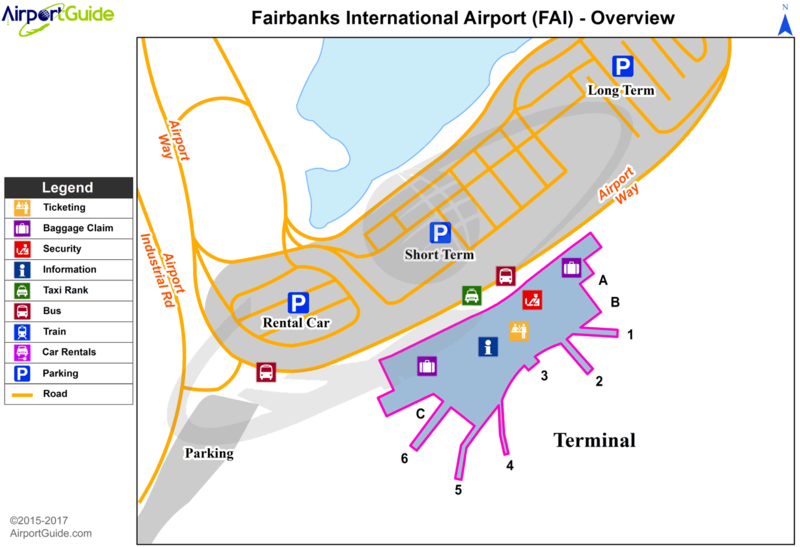 A11 ALASKA INTL AIRPORT SYSTEM. A110-14 BE ALERT FOR SNOW REMOVAL EQUIPMENT OPNS FM 1 OCT TO 15 MAY. A110-16 MILITARY CONTRACT FUEL AVBL. A110-21 FOR FLIGHTS IN MOA'S EAST OF FAIRBANKS RECOMMEND CONTACTING EIELSON RANGR CONTROL ON 125.3 OR CALL 1-800-758-8723 FOR INFORMATION ON MILITARY ACTIVITES. A110-22 NOISE ABATEMENT PROCEDURES IN EFECT FM 2200-0800 ALL LARGE ACFT, TURBINE ENGINE, AND HEAVY ACFT UTILIZE RY 02L FOR ARRS AND 20R FOR DEPS WHEN WIND IS NOT AN OPERATIOINAL FACTOR. CTC APRT OPNS FOR ENGINE RUN-UP LOCATIONS. A110-25 RY 02R/20L CLSD TO JET ACFT. A110-28 TRANSIENT PARKING EAST RAMP FOR NON JET ACFT WITH WINGSPAN LESS THAN 79 FT. NO TRANSIENT ACFT PARKING ON WEST RAMP, CTC APT OPS 907-474-2530 FOR INFO & MEDIVAC PARKING. A110-33 FOR AVBLTY OF SUMMER GRAVEL STRIP RY 02/20 AND WINTER SKI STRIP RY 02/20 CONSULT LOCAL NOTAMS AND CTC TWR PRIOR TO ARRIVAL /DEPARTURE. 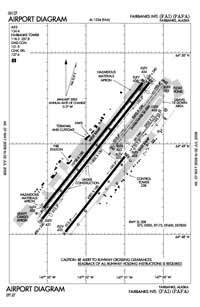 A110-35 N/S TAXIWAY (TWY A) IS WEST AND PARALLEL TO RY 02L/20R. BE ALERT TO AVOID LANDING ON TAXIWAY. A110-40 NE COMPASS ROSE CLSD TO HELICOPTERS OVER 12,500 LBS. FROST HEAVES SOUTH 2600 FT RY 02R/20L CONTACT ARPT OPERS 907-474-2530 WITH SAFETY CONCERNS. A110-44 ALL RY HOLD LINES AND COMPASS ROSE AT TWY W OBSCURED OCTOBER 1 THRU APRIL 1. A110-45 FOR TRANSIENT HELICOPTER PARKING CALL ARPT OPS 907-474-2530. A110-46 COLD TEMPERATURE RESTRICTED AIRPORT. ALTITUDE CORRECTION REQUIRED AT OR BELOW -45C. A110-47 SEE ADDITIONAL PAGES UNDER NOTICES FOR TRSA AND FAIRBANKS AREA INFORMATION. A110-5 ATCT LOCATED AT 64-48-39.438N 147-50-55.722W ELEVATION 538' MSL. A110-8 SPB TAXI, TAKE-OFF AND LANDINGS CONTROLLED BY FAIRBANKS INTL TWR, CTC TWR ON FREQ. 118.3 FOR ALL REQUESTS. ALL PILOTS CTC TWR. AS SOON AS PRACTICAL AFTER START UP FOR TAXI INSTRUCTIONS. USE CAUTION TO AVOID UNAUTHORIZED OPPOSITE DIRECTION DEPARTURES. FLOAT POND TFC. AS ASSIGNED BY FAIRBANKS TWR. NO STEP TAXI EXCEPT IN CHANNEL FOR RWY 02W-20W. RWY 02W-20W TOUCHDOWN REFERENCE MARKERS 500 FT FROM SHORELINE, MARKED WITH BUOYS. LIMITED TRANSIENT FLOAT PLANE PARKING AVBL CTC OPS 907-474-2530 FOR INFORMATION. SFC FROZEN IN WINTER, NOT MONITORED. MIGRATORY BIRDS IN VICINITY OF ARPT DURING SPRING THRU FALL, CONDITION NOT MONITORED. A43-20R RY 20R PAPI UNUSBL BYD 8 DEGS RIGHT OF CNTRLN. E147 TFC PAT ALT (SINGLE ENGINE RECIPROCATING ACFT) 1500 FT MSL. TFC PAT ALT (ALL MULTI-ENGINE, LARGE AND TURBINE-POWERED ACFT) 2000 FT MSL. Dual Wheel Landing Gear: 220.